Portugal. 50 things I learned on my travels. 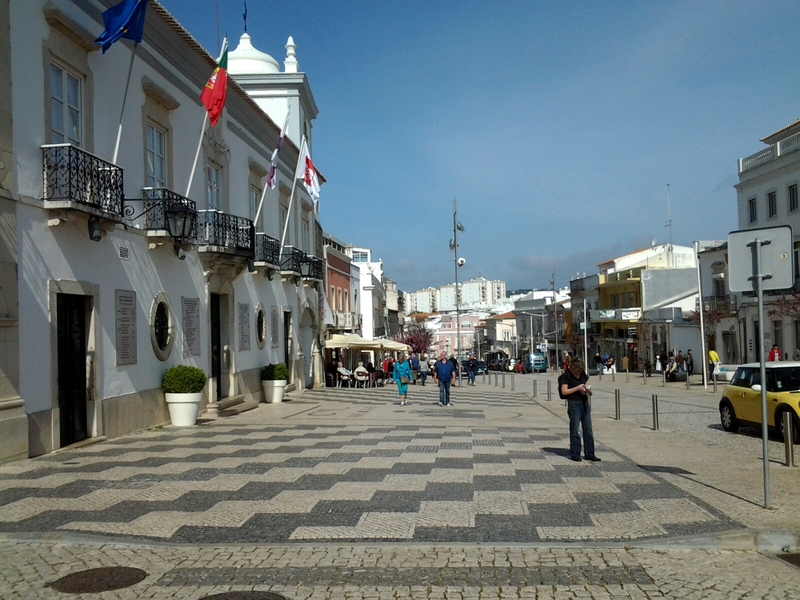 My wife, Jane, and I got back from Portugal 3 days ago, and we’re just about back to normal after struggling with the time difference and travel. While we were away I kept a little journal so that I wouldn’t forget the wonderful sites we saw and the places we visited. I made the decision not to share any photos on Facebook because I didn’t want to turn it into a “Bragbook” and bore everyone to tears. In the coming days I’ll be putting a good selection of photos up on Pinterest for those who might find images of Portugal interesting, along with appropriate comments. I’ve included a few of my favourites in this post. Oh yes .. and of course I have to pop on to Trip Advisor to give comments about some of the restaurants and cafes. As we prepared to come home, and on the flight too, I made notes about the things that I learned on this journey. I’ll try to be as succinct as possible so as not to overstay my welcome. 1. On departing, I learned that Toronto Terminal 3 is akin to a cattle farm. The departures area in particular was loud, and littered with bad eating spots. I took 2 bites of a sandwich (beef on marble rye, with lettuce, mayo and pickle) and threw it away. It was soggy, past it’s edible date, and to make matters worse it cost me $14.00. My advice, take your own sandwich. 2. 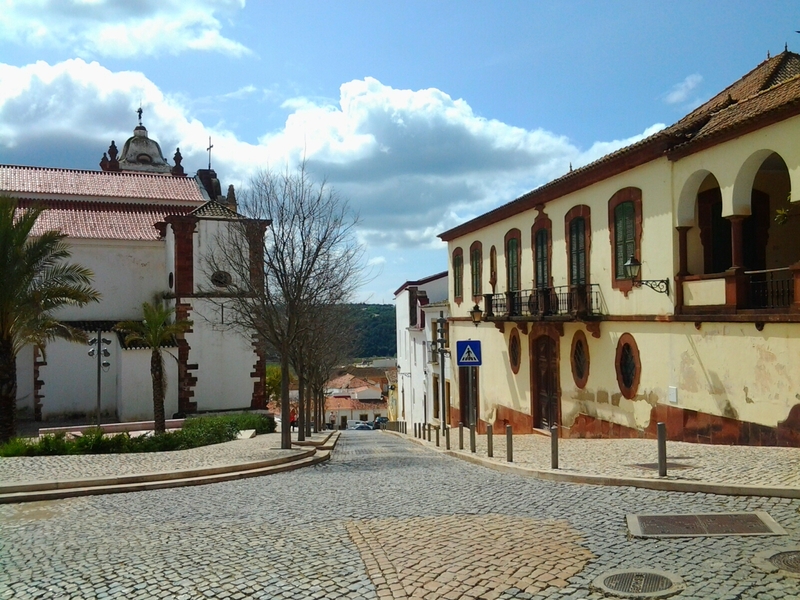 In Portugal, I didn’t have a wine I didn’t like … and we sampled many. 3. A good bottle of wine can cost as little as $4 to $7. 4. Breads and buns are to die for. Fresh bakeries abound they far surpass the “big brands”. 5. Even the smallest bistro will sell you outstanding baked goods and sweet treats. 6. Coffee with steamed milk was a new experience for me … I will miss it, for sure. The Delta Cafes served a great selection of coffee servings. 7. Virtually all the people we met were friendly and helpful. Nice people. We did meet one or two who didn’t fit the profile, but that’s to be expected. 8. The geography is wonderful and varied .. it is an artist’s paradise. 9. Beaches (and there are hundreds of great beaches) have sand that can be like baker’s sugar or are rugged and granular. Every one is picturesque. 10. 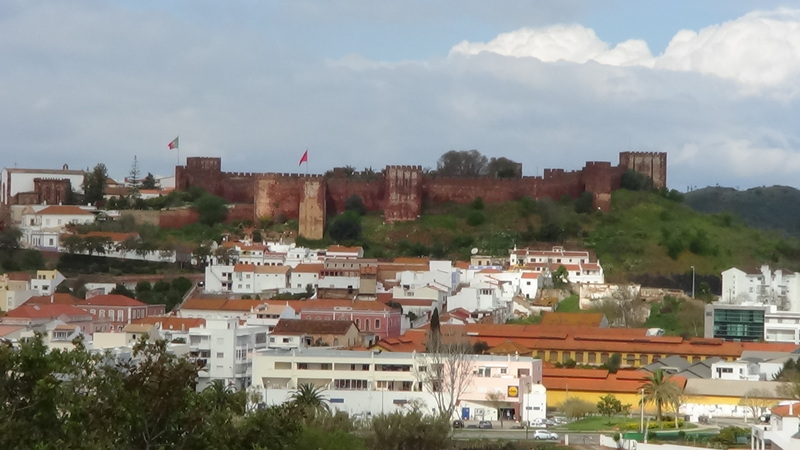 Portugal’s history is well documented wherever you travel, and it is fascinating to see and read about. 11. 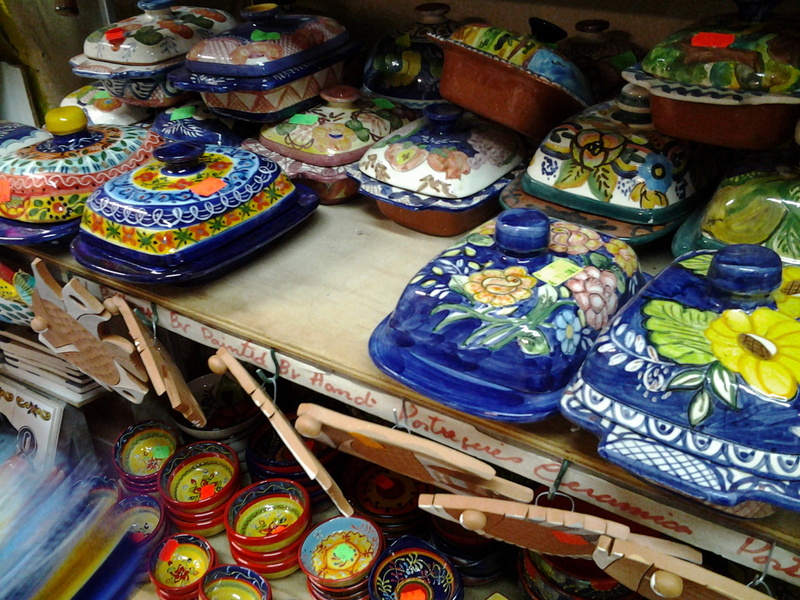 People are proud of their heritage and they display that in their festivals, markets, homes and their street art. 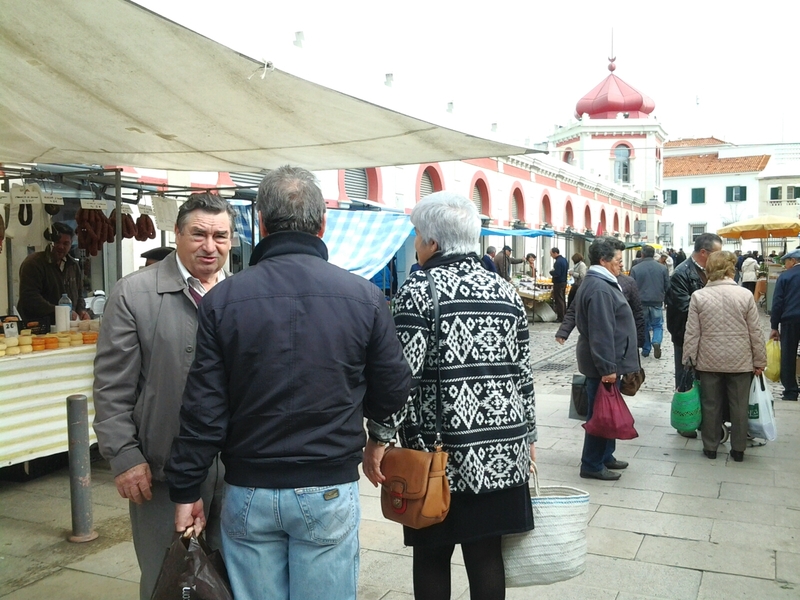 The Saturday market in Loule is great sport and full of great produce. 12. Streets and highways are very clean. I didn’t see a lot of litter. I finally realized it’s because they don’t have a lot of fast food joints pumping out food and drink containers that, in North America, some dolts toss out their window. 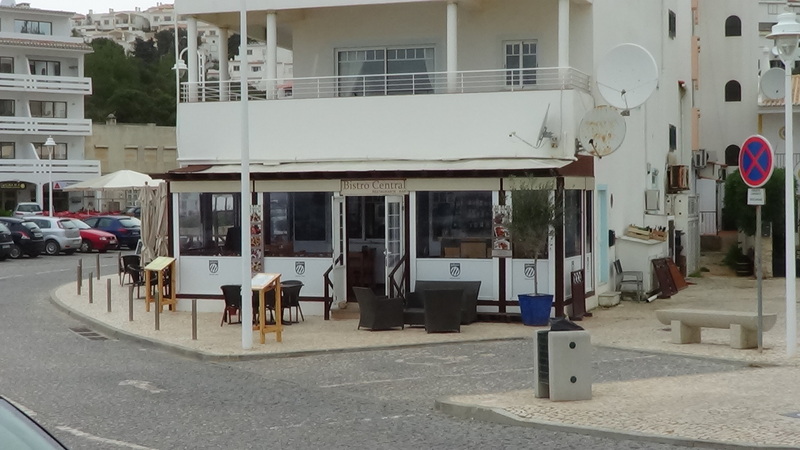 In Portugal you go to a neighbourhood cafe, sit down for your coffee and talk to your neighbours. It’s a social thing. 13. 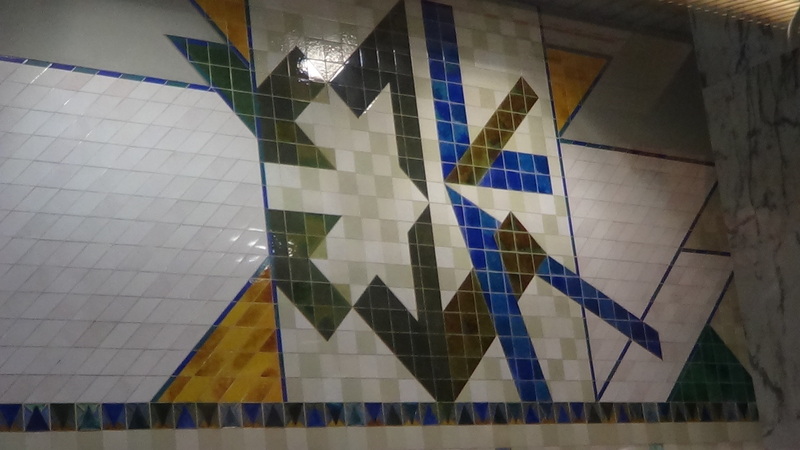 We travelled on the Metro subway system in Lisbon and I was amazed at how very clean and in good repair the subway cars and stations were. 14. Graffiti artists create a blight in some areas of Lisbon. The defaced walls are in contrast to some of the wonderful art that abounds in the city. 15. Highway food (Super Highway A2) is just as bad as it is in Canada. 16. On the super highway, aside from trucks, the vast majority of cars were Mercedes, Audi, Porsche, BMW’s … estate vehicles are very popular. 17. At $2.00 a litre for gas, you better have a good reason for driving. 18. The A2 highway from Lisbon to the Algarve is a training ground for people who would like to set the land speed record. 19. Sheep love to share roads. 20. Shepherds tend their flocks by day as well as night. 21. Dogs are hugely popular in Portugal and it appeared to me that most of them were barking. 22. Throughout our stay we enjoyed very good to excellent meals at fair and affordable prices. We had one unfortunate incident with a place that said it served the best pizza. They lied. 23. Some of the rocks washed up on shore are ballast from fishing boats. My good friend, Bob Morrow, a geographer, noted that the rocks types in many instances are not from shore types. 24. 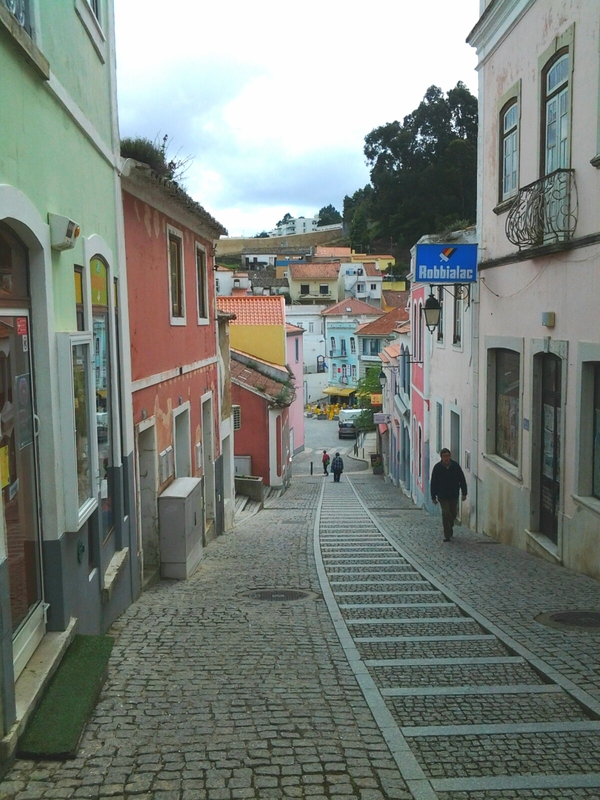 In the towns and cities of Portugal they make some great sidewalks on the main streets. Some were 15 to 25 feet wide. That encourages a pedestrian lifestyle. Many were made of 3″ by 3″ squared stones, arranged in attractive patterns. It was a joy to be on foot. 25. If you take the Metro (green line) to Cais do Sodre, go across the street to what looks like an old market building. There is a food court there that will blow you mind. It’s all good food, available with wine of course. 26. 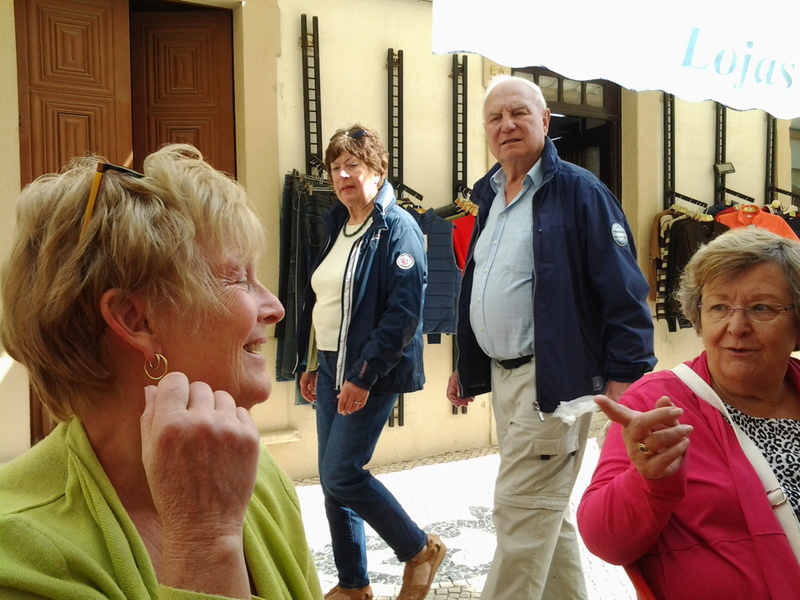 The Portuguese love to talk to each other and often it is lively and passionate … easily heard a block away. I loved it. 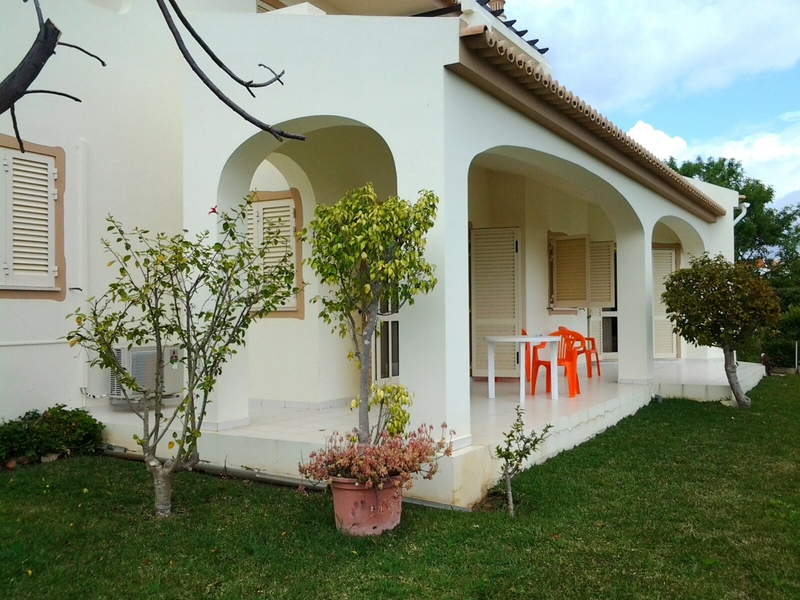 The rear porch of the home that we were staying in. Perfect for that morning coffee. 27. I was sad to hear that, for an industrious people, they have about 20% unemployment. 28. Their president just got 11 years in jail for dealings that were not in keeping with the office. Did anyone go to jail for the gas plant fiasco in Ontario? No, I don’t think so. In fact, if I remember rightly, our premiere got out while the going was good and got a plum job at Harvard. Hmmmm. 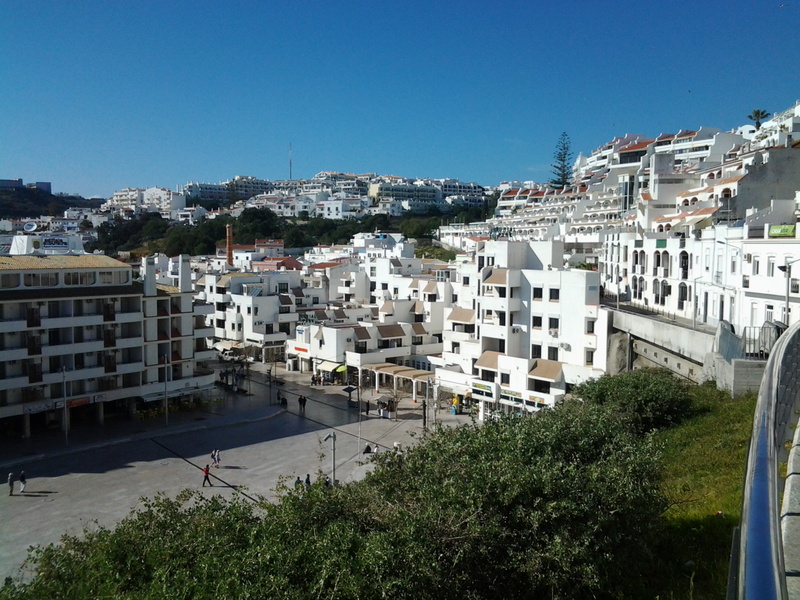 The old city of Albufeira. Not an inch of wasted space. 29. Girls on highways are not hitch hiking. They are working for pimps. Many of them have been kidnapped or coerced from other countries, or are runaways. Police are diligent about routing out the criminals and send the girls back home. Shocking to know these criminal acts exist. 30. In the Algarve the toll highway is the A24. If you don’t have a transponder you pay at a post office. This can be time consuming if the workers are engaged in convivial conversation with their customers. 31. The toll highway from Lisbon to the Algarve costs about $28.00 … and it goes 10 times as far (I think) as the ETR. Much better value for money. Every corner reveals an new and fascinating street. 32. I don’t know if was the change of diet, the increase in wine consumption, or different water, but regularity was never a problem. 33. I was shocked to learn that you can make just about anything out of cork. Men’s ties, aprons, bags, hats, watch bands, purses, dresses … and yes, wine corks. Cork products abound but they are not cheap. Cork comes from the lower portions of the cork tree and it takes about 9 years for the tree to resurface its bark. Cork tree farms are interesting to see. 34. Ceramic tiles are an art and they are found everywhere, facings for homes and businesses as well as interiors. They are beautiful. If it weren’t for the fear of excess baggage you could go wild in all the shops. 36. Supper time doesn’t get rolling for most people until after 8pm. It wasn’t unusual to see families coming into a restaurant (kids included) as we were leaving. 37. Orange trees, lemon trees, fig trees, tangerine trees, cumquat trees are everywhere. Mmmm, great oranges. 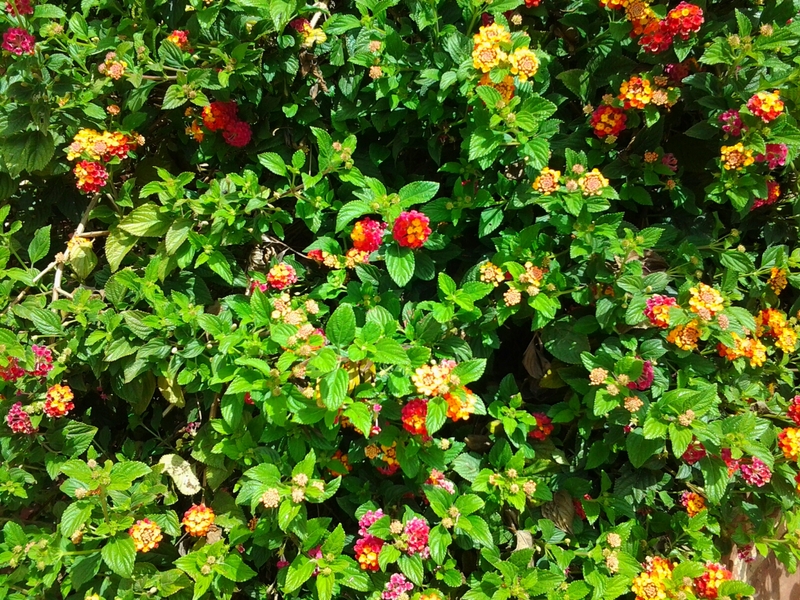 It wasn’t unusual to see hedges of bougainvillea. Lovely colour where ever you go. 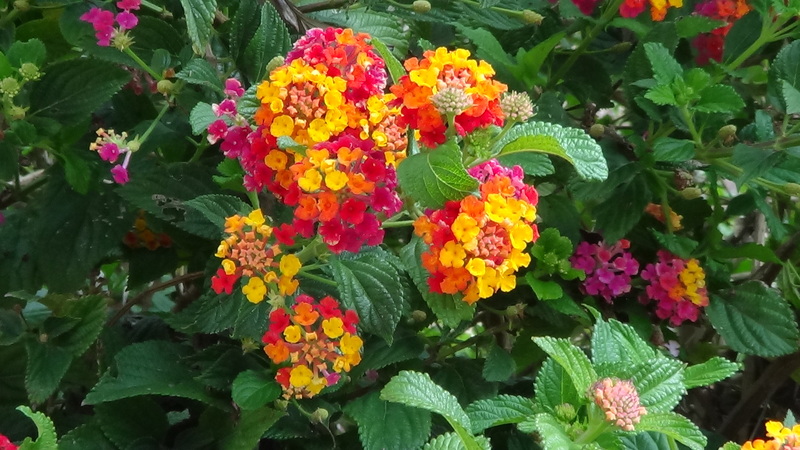 I don’t know what this multi-coloured bush is but I want one! 38. 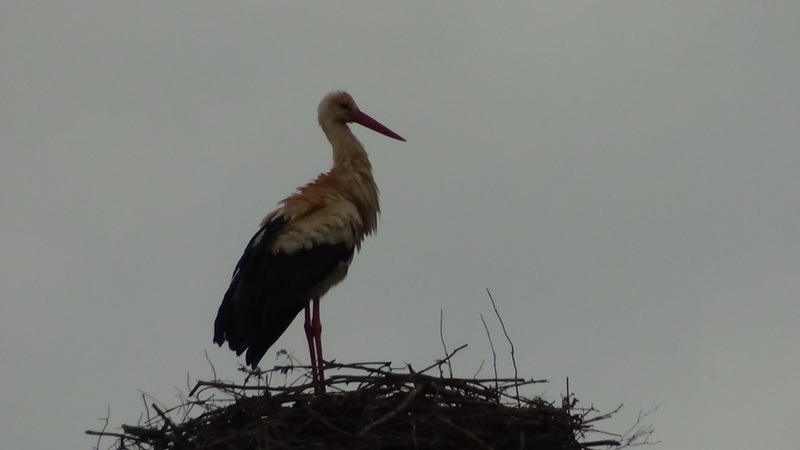 Our mouths dropped open at the sight of storks nests on top of huge hydro towers. Sometimes there were 4 and 5 nests on a tower .. like apartment buildings. Stork on nest on top of tower. 39. Fish and more fish, and lots of pork on menus. It was all good and at times great. 40. Piri Piri chicken can make your eyebrows sweat. But it’s worth it. 41. You can spend Euros at the same rate as dollars … just remember, there’s a 30% hit on your wallet with each Euro. 42. It broke my heart when we had to leave a fresh bag of almonds on the airplane … I’m afraid of the Canadian Border Service. Ornate gates and security walls all commonplace. 43. It strikes me that to learn Portuguese would be challenging … particularly for a guy who struggled through high school French. 44. You drive on the right hand side of the road, so there’s no adjusting for North American drivers. 45. A GPS device (Garmin) really helps if you’re driving … or walking. 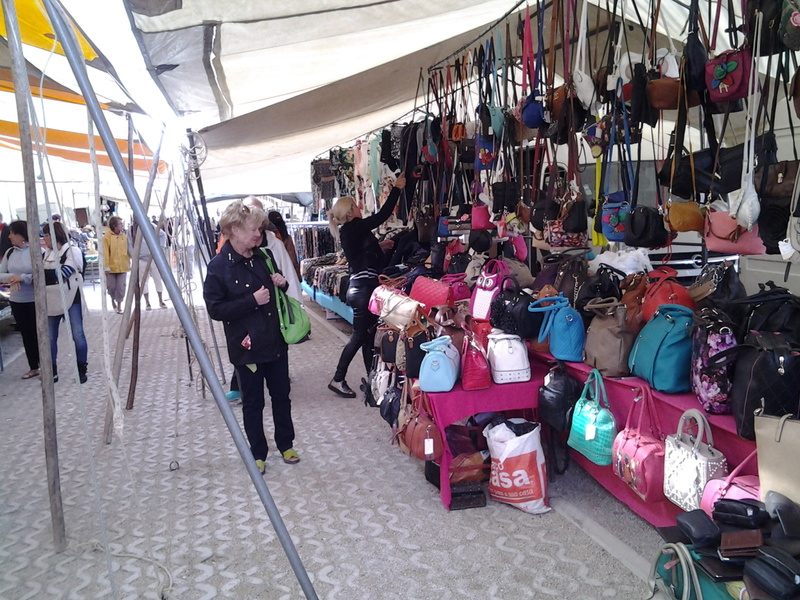 The Gypsy Market in Loule was quite a unique and fun experience. 46. Lisbon Airport (Terminal 1) makes you go through duty free to get to the departure gates .. pretty sneaky, but smart. 47. Departure gates are away from the shops and the food and, as a result, they tend to be quieter and with less confusion. Nice airport. 48. We flew on SATA. Very nice people. No video or audio services so take a book. Bonus, they offered wine with every meal at no cost. Stopping in the Azores was brief but interesting. 49. 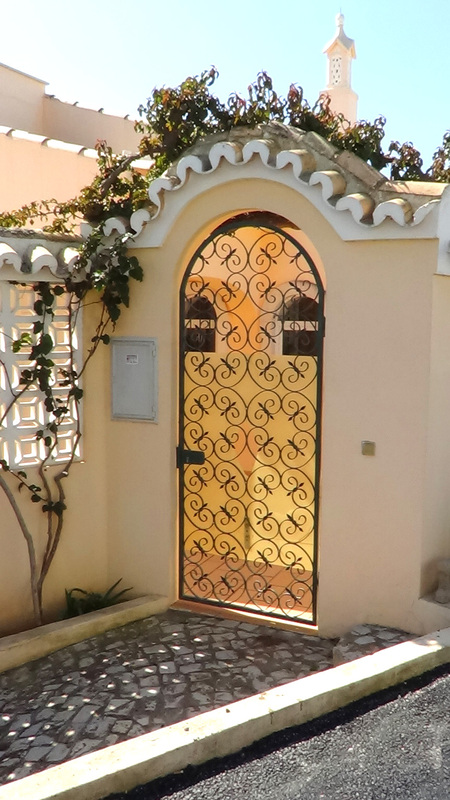 There are lots of Brits and many Canadians who have found Portugal great for extended stays. I can understand that. 50. 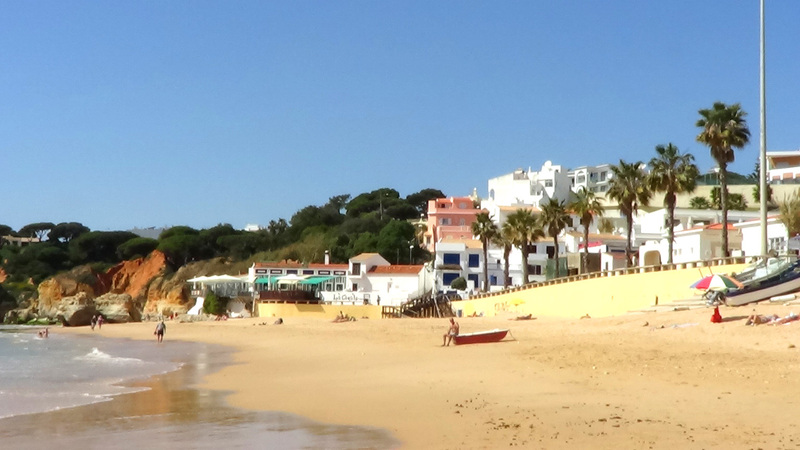 One visit to Portugal is not enough. Would we go back? In a heartbeat. 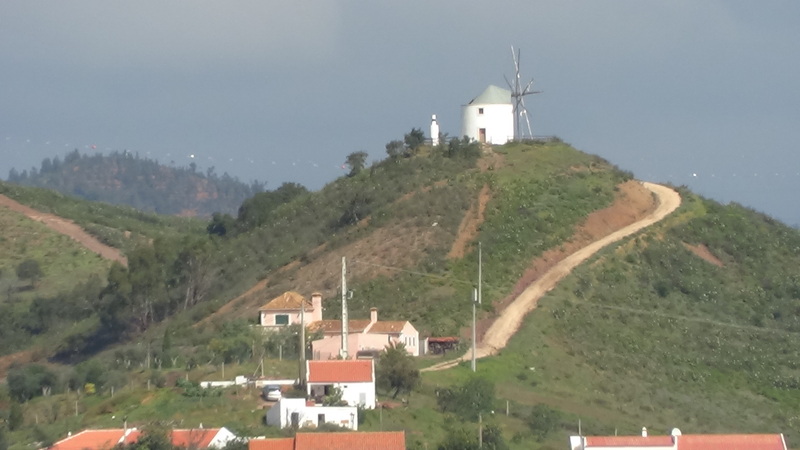 A windmill home sits on one of the many rolling hills. Ros … it was a wonderful new experience for us. My dear friend, Bob Morrow, and his wife, Lynne, had a place for a number of weeks and invited us to spend our time with them. 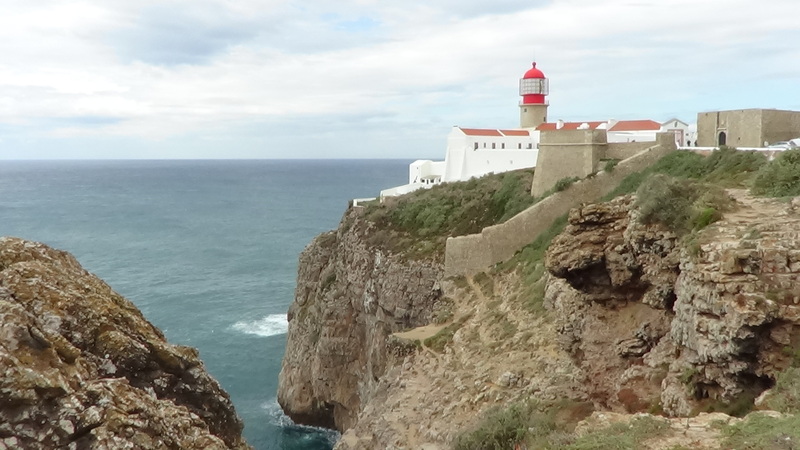 They had been to Portugal a few times and Robert, being a Geographer and experienced world traveler, laid out a wonderful itinerary for us. I’m sure we wouldn’t have seen the diversity of the Algarve without him. I’ll look forward to hearing about your Tuscany adventure this summer. Love to you both. Next Next post: Radio Story #5: The Prime Minister was not amused.